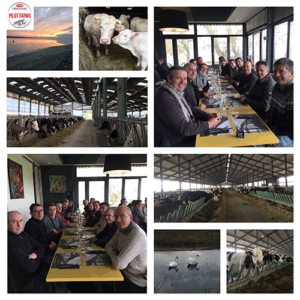 Lallemand Animal Nutrition invited livestock producers in the Pilot Farm Network to Picardie, France, for the 9th Pilot Farm Day on Feb. 6-8. Attendees included French, Swiss, Spanish and Tunisian pilot farm producers. Participants visited the pilot farm, GIE de la Source — often called “ferme des 1000 vaches” or “1,000 cows farm” — during a tour led by Michel Welter (Director of the “GIE de la Source” 850 dairy cows Farm, Lallemand Pilot farm) and a fellow livestock producer who breeds and finishes Charolais cattle. 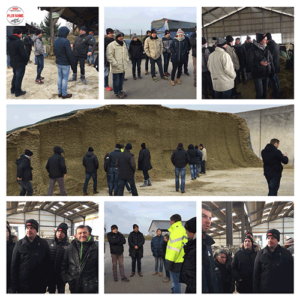 The next day, attendees spoke with a partner in a dairy operation that milks 200 cows (SCL O’Lait) and visited the Marquenterre Park (Baie de Somme). This event allowed farmers to discuss the organization of the next LALLEMAND TOUR planned for 2019. The Pilot Farm Network’s purpose is two-fold. 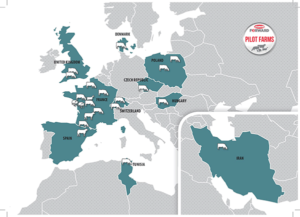 Livestock producers from across Europe are able to visit make personal connections while visiting different operations. These experiences provide information that can directly benefit their individual farms. The group also allows Lallemand Animal Nutrition to showcase new microbial technologies and gain feedback on real-world applications. In 2009, Lallemand Animal Nutrition created the Pilot Farm Network to ensure its products and services were meeting the needs of livestock producers across multiple countries. Today, the network includes 22 pilot farms located in nine countries.